Modern House Plans by Gregory La Vardera Architect: Maine Plat House - windows, siding, doors! Maine Plat House - windows, siding, doors! The owner of the Maine Plat House has been sending us a few pictures every couple of days. 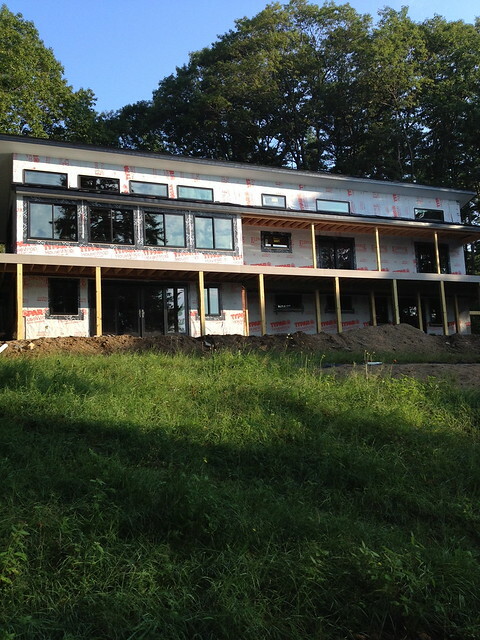 The house is making steady progress and she says it is well ahead of schedule. We are always excited to see our customers build their houses, and it seems to be a favorite blog topic for our readers here as well. So without further delay, here are some recent pictures from the construction site. Above all the windows and doors are installed - Marvin windows, a good brand. Note the nice standing seam metal roof too. 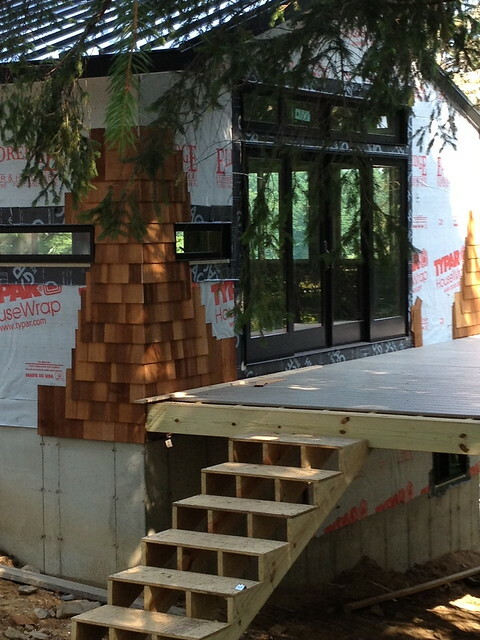 Above cladding has begun, and I am thrilled to see they are cladding the Plat House in cedar shingles. A great choice for Maine, but just a really handsome and durable cladding material. We like it so much we actually showed the 3 Bedroom version of the Plat House with cedar shingles in our catalog. 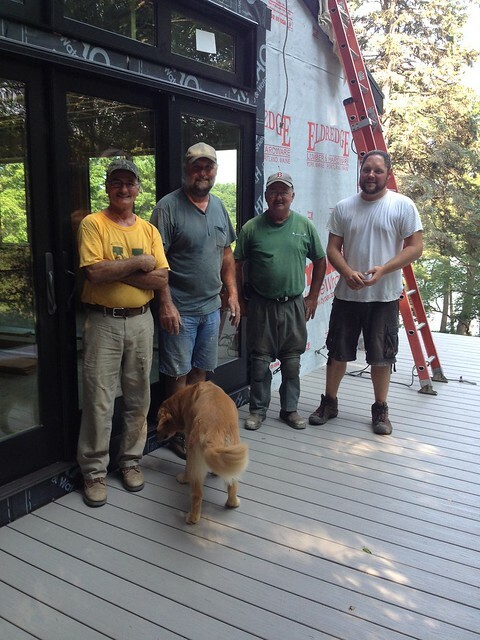 Above is the window and door crew shortly after completing the install. The pup goes with the owner though! There are more photos, and a few videos in the Flickr set, so head on over there to see more. You can see the Plat House in our catalog as well. Thank you to our customers that share their homes!